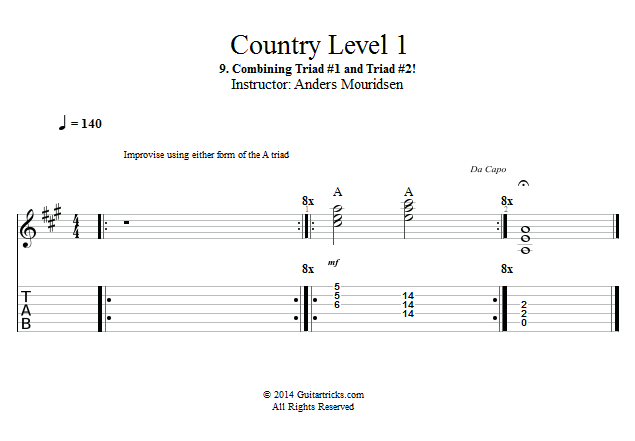 Guitar Lessons: Combining Triad #1 and Triad #2! I hope you've gotten a good idea of how to go about using triads as a lead tool in Country. 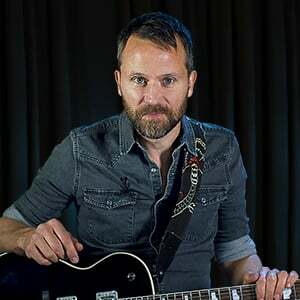 In the next tutorials we'll get into more single note playing, which is great as well, but in my experience triad soloing is the most effective tool you have in your toolbox for Country lead playing. In this tutorial we explored the most simple version of triad soloing, but there's no limit to how far you can eventually take this concept. Have fun with it!